We’ve found great deals at 802 hotels! 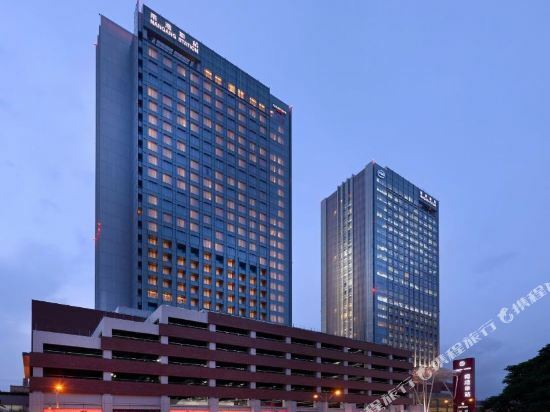 The San Want Hotel Taipei (Taibei Shenwang Dafandian) is located within easy reach of the Vie Show Cinemas and the Living Mall. Also easily accessible are the Taipei World Trade Center, Taipei 101 and the Taipei Metro Zhongxiao Dunhua Station. In this five-star hotel, guests can enjoy a meal at French All Day Dining, taste Cantonese dim sum at the Chao Ping Ji or try Japanese foods at Sumie. The Zorro Bar serves coffee, cocktails and light meals. The well-equipped function halls are suitable for guests to organize social or business gatherings and the business center offers faxing, copying and other services. Additionally, there is a parking lot available to guests. 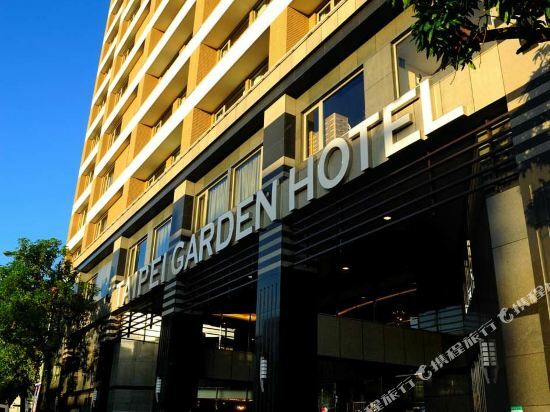 The Taipei Garden Hotel (Taibei Huayuan Dajiudian) is a 5-star hotel just five minutes' walk from the Xiaonanmen and Ximen Mass Rapid Transit (MRT) stations and a five-minute drive from the Taipei Train Station. Also easily accessible are Taipei tourist attractions like the Presidential Office Building, Chiang Kai-Shek Memorial Hall and Longshan Temple. Accommodations in this Taipei hotel are equipped with a variety of amenities including satellite TVs and electric kettles. The Chinese restaurant Jade serves Jiangsu, Zhejiang and Ningbo cuisines. Japanese food lovers can head to the on-site Hanazono. Additionally, guests may enjoy Western items off the buffet at the La Fusion or hand-made desserts and breads at the La Fusion Bakery. 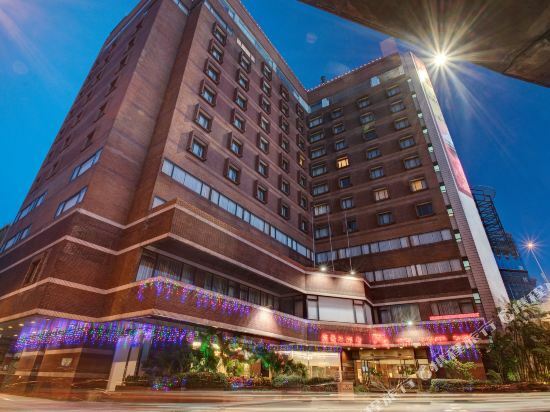 This Taipei hotel's function halls are appointed with advanced audiovisual equipment and suitable for organizing events like conferences and banquets. After a day of travel, guests may get pampered in the spa. They may also pay a visit to the La Fusion Bar to have a drink while chatting with new friends. Sitting beside the hot springs in Beitou District's Yangmingshan National Park, the Spring City Resort (Taibei Beitou Chuntian Jiudian) is just 35 minutes from downtown Taipei. Shuttles from the resort take guests to two different MTR stations. World Travel Awards (WTA) named this Taipei hot spring resort Taiwan's Leading Spa Resort three years. Diners can enjoy a mix of Chinese and Western dishes as well as a buffet in Elegant 18, which looks out over the hotel gardens. Japanese Kaiseki cuisine and smokeless barbecue can be enjoyed at Chikurintei Japanese Restaurant or in its private VIP rooms. Melody Sky Lounge offers meals, snacks, cocktails and more along with live jazz music. Several conference rooms offering audiovisual equipment and more are available for business gatherings. This Taipei hotel also offers a banquet staff and wedding planners. Enjoy the natural white sulfur spring treatment provided by the waters of nearby Sulfur Valley (Liuhuang Gu). Relax in one of the nine outdoor spa pools, including a family pool and a whirlpool tub, or in one of the hotel's 13 private hot spring rooms. Special treatments are available at the Lu Lu Spa and Royal Spa. 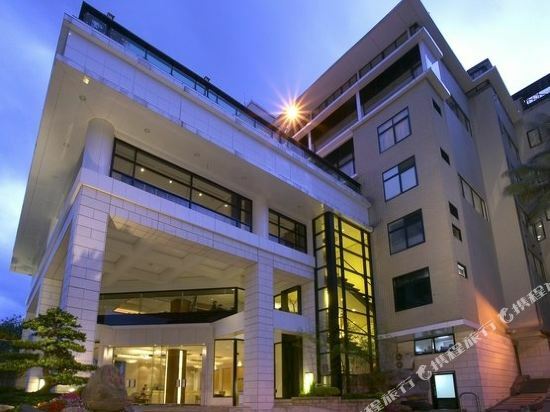 The Courtyard hotels span with nearly the 1,000 locations around the globe. 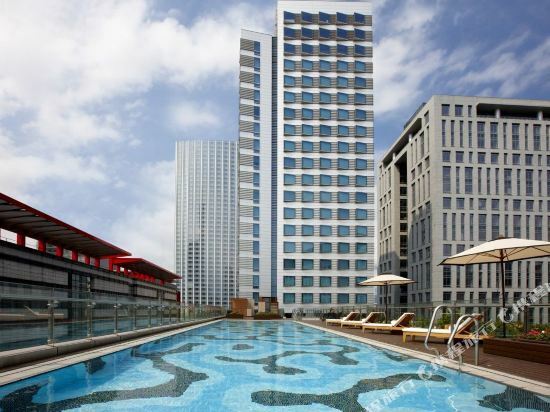 The Courtyard Taipei is built on top of the Nanggang MRT, HSR and train Station. We have 465 guest rooms with view to suit your stay. We offer all-day dining experience and full of great food. The restaurants include Cantonese cuisine and a lounge bar to indulge in our seasonal selection and signature cocktails. Welcome to experience Courtyard Taipei. We serve in a fun, relaxing and creative environment and better professional services. As the largest city in Taiwan, Taipei is also its political and economic center. It has convenient transportation and is generally the first stop for tourists when visiting the island. Taipei can be divided into areas such as Taipei City and the Greater Taipei Area. The city of Taipei is made up of 12 central districts including Zhongzheng, Datong, Wanhua, Zhongshan, Da'an, Songshan, and Xinyi. Public transportation is easy to use and most attractions within the city are accessible via the Taipei metro. The Greater Taipei area includes the districts of Shilin and Beitou, as well as New Taipei City and Keelung. Attractions, such as Tamsui, which is well-known for its sunsets, the town of hot springs, Beitou, Yehliu Geopark, the small train of the Pingxi Line, and Jiufen, the city of mountains, are all part of this area, and can be reached from the city in about one hour. Tourists generally choose to spend three to five days in Taipei. Three days can be spent visiting the city's major attractions, and the remaining two days can be spent in the suburbs and surrounding counties and cities enjoying hot springs or taking other day trips. Taipei 101 and the National Palace Museum are famous two landmarks in Taipei. Visitors can climb to the top of 101 and overlook the city. Get a taste of history at the Taipei Palace Museum, and experience the fascinating qualities of Taipei in both ancient and modern times. Taipei has a notable cultural history and many scenic spots. Among them, modern historical sites such as the Presidential Office Building, the Chiang Kai-shek Memorial Hall, and the Shilin Official Residence are the most popular with tourists. In addition, visitors can also check out the former residences of Zhang Xueliang, Hu Shi, Qian Mu, and Lin Yutang. Taipei is famous for its snacks. There are many night markets in Taipei, and each is unique. In addition to the night market, the famous Yongkang Street is also known for its food. Taipei is also a city known for literature and the arts. In addition to the Eslite Bookstore, which is famous for being open for 24 hours, there are also groups of independent bookstores hidden all over the streets of National Taiwan University and National Taiwan Normal University, as well as a cultural and creative park around Huashan and Songshan, in addition to various theaters and livehouses that attract visitors from near and far. The three major shopping districts in Taipei include Ximending, which focuses on fashion for young people; Zhongxiao Business District, a gathering place for high-end department stores, boutique shops and restaurants; and Xinyi District, which is a newly-developing shopping area and has an amazing view of the city at night. In addition, there are many unique shopping streets in Taipei, such as Dihua Street, Wufenpu Garment Wholesale Zone, Tianmu Flea Market, etc. Taipei is very worthy of its reputation as a gastronomic capital. Restaurants, snacks, desserts, and afternoon tea all over the streets assure you’ll always find something delicious to take a bite out of. Plus, the easy-to-use metro system makes traveling simpler. Savory beef noodles and minced pork rice, cheap and large bowls of shaved ice with fruit, delicate cakes, plus countless night market foods. When you’re in Taipei, you’ll never be hungry! Taipei is a city that combines tradition and modernity. There are a lot of preserved arcades in older buildings from which the culture and architectural styles of the past can be observed. The city is clean and tidy. The roads within the city are sometimes winding, but the layout of the city’s streets and buildings are neat and in good order. Taipei has a tropical monsoon climate with four distinct seasons. The annual average temperature is 22.4°C and the best times to visit are in the spring and autumn. Summer is usually hot and humid with temperatures around 26-33°C and often accompanied by typhoons. In winter, it is cold and rainy with temperatures around 14-20°C. If you go to mountain areas such as Ali Mountain, the temperature is usually lower than the city, so it’s not a bad idea to bring a coat. If you head to sandy beaches such as Kenting, the ultraviolet rays are usually strong, so make sure to protect yourself from the sun no matter what season it is. There are many hotels in Taipei, ranging from high-end hotels with international brands to a variety of cost-effective homestays and inns. 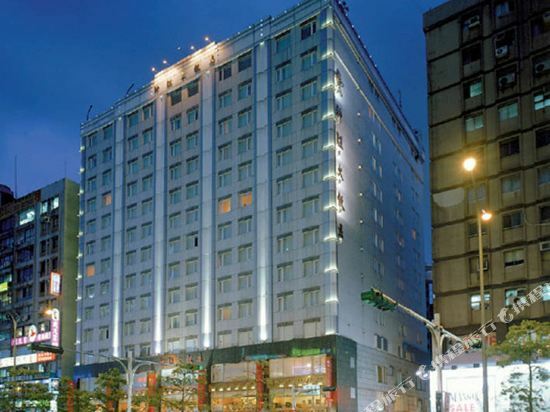 The Taipei hotel area is mainly near the transportation hubs and popular shopping areas, such as Taipei Station, Taiwan Railways, high-speed railways and buses; the vicinity of Songshan Airport in the city; Ximending, Xinyi, Eastern District, Yongkang and other popular shopping and food areas; the Shilin night market, Beitou hot springs, and other famous attractions nearby. Travelers with heavy luggage or people on business trips are advised to choose hotels near transportation hubs in order to save time and energy. For those who like shopping and food, the first choice may be one of the city’s many shopping areas; those want to have a relaxing vacation can consider heading to Beitou for a unique hot spring experience.